If you’re a child of the 70s or 80s then there’s a good chance Brian Trenchard-Smith has been a significant part of your life (whether you know it or not.) A renegade of Aussie new wave cinema and exploitation, Brian was amongst a group of visionaries who pushed limits and audience expectations. With a catalogue of work too long to name, some of his films include; The Man From Hong Kong, BMX Bandits, Dead End Drive-In and Turkey Shoot. Born in England, Brian’s career began in television during the late 60s. Working as a writer, editor and promotions-director he went on to form his own production company in the early 70s and produced a string of successful documentaries as well as an impressive number of movie-trailers. He then moved on to feature films and has churned out an impressive 40+ movies as well as a heap of television work including Mission Impossible, Tarzan, Flipper and Chemistry amongst others. With a career that’s still going strong it’s clear that Brian’s visual sense of storytelling and ability to stretch every buck has kept him relevant and in demand after all these years. Quentin Tarantino famously boasted Brian Trenchard-Smith as one of his favourite directors and his career has been introduced to a whole new generation of movie-goers. Beautifully captured in Mark Hartley’s amazing documentary, Not Quite Hollywood, it’s a career most filmmakers would kill for! The purpose of FakeShemp.net is to present movie stuff in laymen’s terms and this article barely scratches the surface of Brian’s legacy and the profound impact it’s had on Australian cinema. What a gentleman he is and with an ever-demanding schedule (he's in production right now) Brian found the time to answer some of my questions. I was at boarding school 8 months of the year without television. When at home, I liked The Flintstones, and The Avengers. How old were you when you made up your mind to pursue film as a career? 13. We lived in the small English village of Odiham in Hampshire. 3000 people, 7 pubs, one picture palace - The Regal. I was 13 years old, and for the first time I was allowed to go to the movies on a winter’s night by myself (my mother, bless her, was a little over-protective, hence my later flirtation with stunts). To get to the Regal on the outskirts of town, I had to walk through the cemetery of the Norman era church. Dark shadows. Wisps of fog. Knowing I was going to see a film crafted by a director dubbed the Master of Suspense made the graveyard all the spookier. 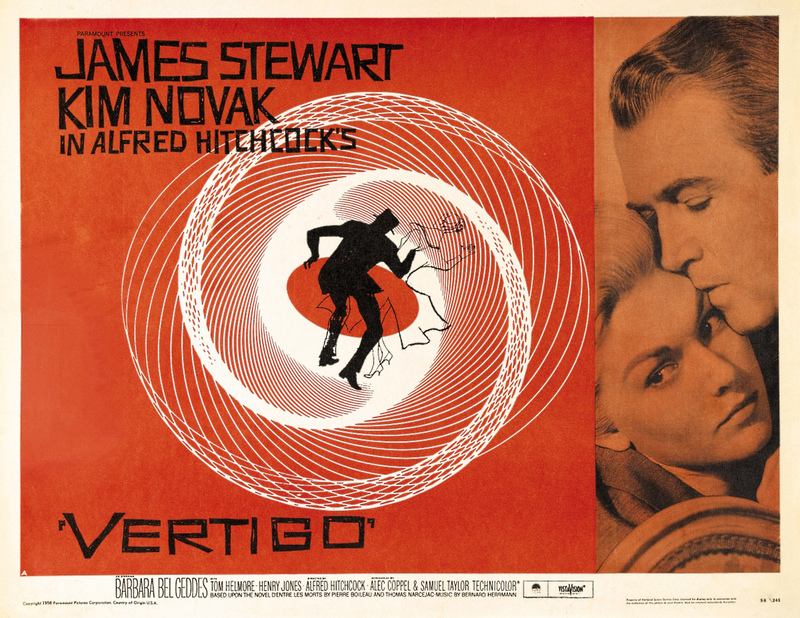 VERTIGO was on its re-release, making its way through the secondary circuit of British cinemas that played two double bills, three days each, per week, then a pair of older re-issues on Sunday evening. 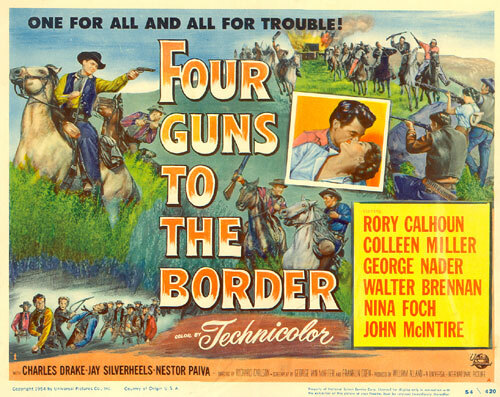 Hitchcock’s richly atmospheric story of obsession had not been a critical or commercial hit in America, so here it was paired with a Rory Calhoun B western FOUR GUNS TO THE BORDER! FOUR GUNS was passable. Little did I know that in 1980 I would take a course in acting from one of the 4 GUNS cast, Nina Foch (pictured below). Barry Manilow was in the class too, displaying a flair for comedy. But that’s another story. Even a dull western in color was better than those on monochrome TV (”Color?” the experts said in the 20’s “It’s just a fad”). 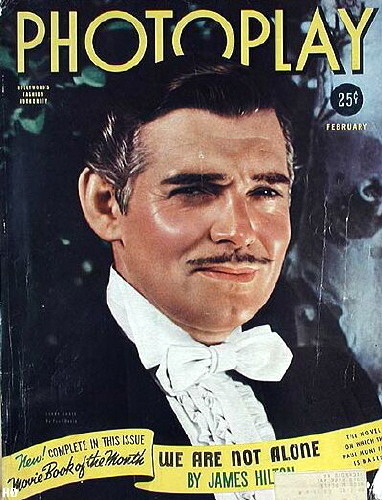 I loved “going to the Cinema” as it was called in middle class England of the day, however my Cinema education was limited to reading occasional copies of PHOTOPLAY, but I was beginning to notice technical things like back projection. Didn’t look real. The lighting difference when studio desert sets were intercut with actual desert photography…Why didn’t they shoot it all out of doors? The reason I was asking myself such questions did not coalesce till that night. When VERTIGO began with the stunning Saul Bass title sequence propelled by Bernard Herrmann’s score, something took hold of me. I had seen films before, but this time I was transported into a new universe, rich in color, dark in motivation. My first encounter with an anti hero. And who better to confuse your loyalties than the inherently sympathetic James Stewart. Of course, at age 13, some of the moral dilemmas and sexual undertones escaped me, but the film took me on an emotional thrill ride. I loved the way it made me feel, and I knew then and there that I wanted to make other people feel that way too. I knew one day I would leave school and have to do what grown ups do - " work for a living ". Eureka! I realized. People get paid to make movies. Great! That's what I will do. Thus my ambition was born. Luck and persistence gave me opportunity. My pleasure became my vocation. Obviously, I am no Hitchcock. I am no fencing champion either, but I still compete. Was this a career that your family encouraged? Yes, my mother had been a bit part actress before she married my father. He saw my passion and said go for it. You moved to Australia in the mid 1960s. What brought you to these shores? The UK film union operated a closed shop, so I went to the land of my father in 1966 where there was no film industry but there was television of a sort. News film editing led to station promos, which led to me being hired by an American company to make trailers in the UK. How did the Australian lifestyle influence your work? It was and still is a sunny "can do" country. One of those actors was Henry Thomas who had recently made ET with Spielberg. That movie was Frog Dreaming. How was he to work with? Henry was great at 14, and when I cast him again at 28 in my Happy Face Murders, he was still the same decent, kind, smart, gifted actor he was as a kid. Much of your early-mid career is explored in the Ozploitation documentary, Not Quite Hollywood. Has this introduced you to a whole new audience? Yes, my sense of humor seems to connect with today's young film geeks. You were once attached to direct a big budged sci-fi movie for Disney. What ever happened to that one? I wrote it in an office they gave me on the corner of Mickey Avenue and Dopey Drive. They bought it, but did not make it, after The Black Hole cost more and grossed less than they expected. You also directed a sort of prequel to the Porky’s franchise several years ago but it never got a release. What was the story behind that? If you google my name and Porky's and lawsuit, you'll find a Hollywood reporter story on it. Do you think that Australia has forgotten how to make good genre films? Australian film makers have not forgotten how, it's just hard to compete when American films culturally dominate the world and have infinitely bigger advertising budgets. Are there any up and coming film makers you recommend following? Mark Hartley, The Speirig Brothers, many others no doubt. As I live in LA, I am out of the local loop. You always appear to be busy. What’s next for you? As always I have many balls in the air, including my own....maybe a buddy action comedy, maybe a horror movie. If you were to be remembered for just 3 films, which would they be? MAN FROM HONG KONG, DEAD END DRIVE IN, THE SIEGE OF FIREBASE GLORIA, but I love all 41 of my celluloid children for different reasons. Each film is a great adventure, and the adventure continues. Brian, thank you for your time and thank you for making Aussie cinema exciting! With an encyclopedic knowledge of cinema, Brian's brain is definitely one I would love to tap into some more. Hopefully down the road he will grant me the time for a more indepth discussion about all different aspects of cinema. Please share this page and help generate more traffic. The more hits, the more big profiles I can wrangle!